Since most people move during the summer and fall months, the best ways to upcycle moving boxes are most definately for use as halloween costumes. This costume takes a bit of time to put together ( not to mention an extra old outfit. 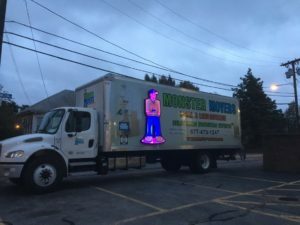 Our moving crews had a great time putting it together! 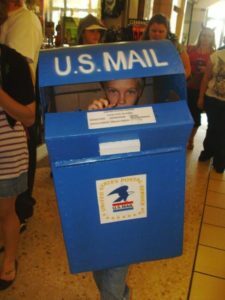 Our staff created this US Mailbox out of two upcycled cardboard moving boxes. It was a little more difficult than it looks to create. After the build, we realized there wasn’t enough room to put your arms out so this upcycled Halloween costume isn’t recommended. 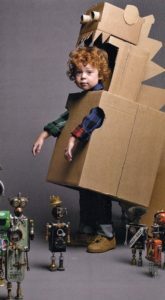 This costume is such a cute Halloween costume made from a small wardrobe moving box. 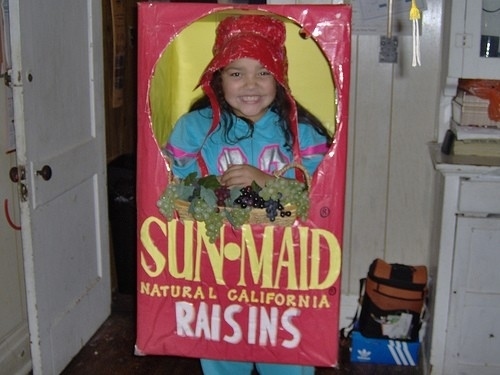 Again, it is a difficult costume for actually collecting candy on Halloween but it’s worth it. This upcycled Halloween costume takes a bit of work ( and a good x-acto knife. This upcycled moving box can be also made as a rubix cube, a hungry hippos box, a cereal box or any cube/rectangle shaped box. 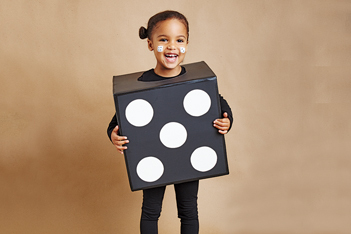 This upcycled Halloween costume is super easy and super cute. 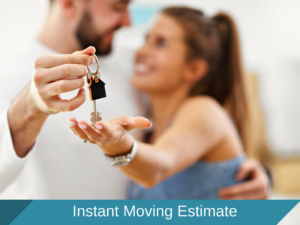 Using old moving boxes to organize your home, office or arts and crafts room is pretty easy. The only rules are arming yourself with a ruler, plenty of cardboard, paint, perhaps some cloth, ribbon and feel and you will find endless ideas. And don’t forget a heavy duty X-Acto knife! At Monster Movers, we have made office bins out of moving boxes. 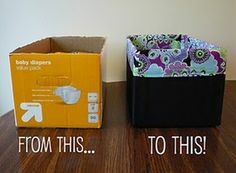 We highly suggest using chalkboard paint to pain the outside of the bin so you can mark and reuse these upcycled cardboard moving boxes. 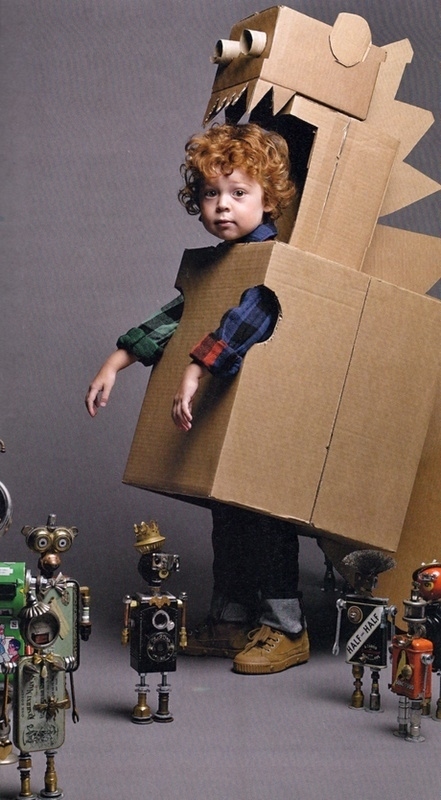 These cute little crafts made out of upcycled cardboard moving boxes are adorable. 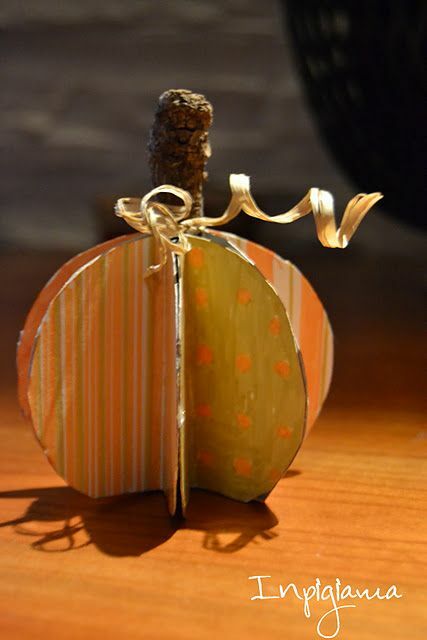 We have made Christmas tree and other 3d creations.